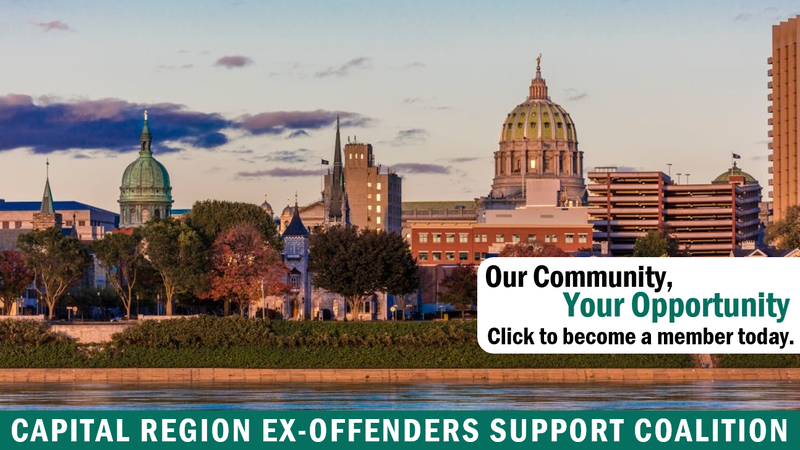 There is a wealth of information on this Site about the activities of CRESC and about the issues at large for persons in reentry. CRESC meets at the CareerLink (100 North Cameron Street, Harrisburg) every third Thursday, each month, from 3:00 to 4:30 pm. All members, general public, and Ex-Offenders are welcome to join us at CRESC meetings. The gathering will feature continued networking. How can we utilize each other’s strengths in a seamless reentry process for returning citizens? We believe that every ex-offender should have access to the services and resources necessary to maintain a productive, crime-free life. State Employees: Please be aware that if you subscribe to CRESC's mailing list using an "@pa.gov" e-mail address, you will not receive e-mail announcements.